Florida Fence and Outdoor Living is a locally owned company, by Ali and Jay Kelly, natives of Tallahassee Florida. Jay began working for the company as a fence builder while in college in 1990. He worked his way up through the ranks and eventually became the company's manager. In 2001, Jay became President of Florida Fence and Deck. 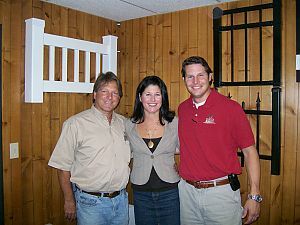 Jay and wife Ali, purchased Florida Fence and Deck in August, 2007 from founder and lifetime friend and mentor, Ted Strauss who founded the company in 1983. In 2011, Jay & Ali changed the company name to Florida Fence and Outdoor Living to characterize the diversification of their services. 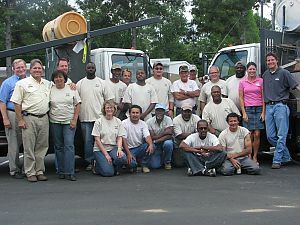 Florida Fence and Outdoor Living is a family owned business that is proud to be a member of the Tallahassee community. We serve our community by participating in many charitable organizations such as United Way, Boys Town, Big Bend Hospice, Treehouse to name a few. We also believe it is important to take care of our environment by using multiple "green" products and disposing our waste in an environmentally friendly way. Florida Fence and Outdoor Living has been North Florida and South Georgia's fence and deck leader for over 25 years- starting with just a handful of employees in the early days to its present-day operation of 20+ employees. We are proud of our reputation for quality craftsmanship, a fair price, and personalized service; helping us to grow through referrals based on our superior work.